You need to know the basics of meditation if you want to make sure that you can practise it correctly. This is not just about sitting still and being quiet for some time. You have to know the right poses and the approach that you will follow in order to benefit from meditation. 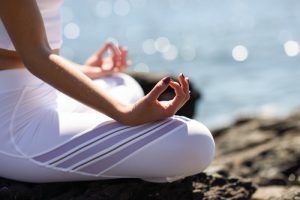 Otherwise, you will only be going through the motions without really enjoying the relaxation and other essential benefits that come from practising proper meditation techniques. What you need to understand about meditation is that you need to really be still. You cannot keep on moving. Of course, humans are built to move so it may be hard for some people to sit still – even for a couple of minutes. This is why you need to learn the different approaches as part of your lesson in the basics of meditation. This type of approach will encourage you to choose a single point to focus on. It can be your breath, a mantra, a candle flame, the sound of a gong, or even mala beads. While this may seem like a very simple concept, it is not that easy to accomplish. Some people find it hard to focus on a single thing for more than a few minutes. This is why a beginner may have to contend with meditating for a couple of minutes and then gradually increasing the time. You need to keep your mind from wandering and thinking about other things except for your chosen focal point. Over time, you will notice an improvement in your ability to concentrate – which is one of the basics of meditation that you need to learn. This approach means you have to be aware of everything that passes through your mind. It is just awareness – you are not allowed to get involved, dwell deeper, or judge any of your thoughts. You just have to understand the pattern that your thoughts take if you let it run freely. As you look to your thoughts, the feelings connected to them will also come into light. You will note how you judge the good and bad thoughts. This is the first step to finding your inner balance. While there are other approaches to meditation, these are the two most common ones. Another important lesson in the basics of meditation is learning the various poses that you can use while meditating. Obviously, you need to be sitting when you meditate. Choose a comfortable and sturdy cushion to sit on. You want to be comfortable enough so you can focus on your focal point or thoughts. Here are some of the meditation poses that you can choose from. This is when your legs are crossed loosely in front of you and both of your feet rest below the thigh or knee of the opposite leg. This is like the quarter lotus but your feet are positioned differently. One foot is resting on the opposite thigh while the other is folded under the top leg. In this position, you will cross your legs like the quarter lotus position. However, you will be resting both of your feet on top of the opposite thighs instead of underneath. In this position, you will sit with your legs crossed but your feet are resting on the floor in a more relaxed way. This is actually a kneeling position but you will be sitting on your legs – so it is still considered a sitting position. You can place a cushion between your legs to make yourself more comfortable. There are other positions that you can use to help you relax while you are getting used to the basics of meditation. You just have to make sure that you find the best position that will help you meditate comfortably. You need to put yourself in a very relaxed position – from your head, shoulders and down to your toes.